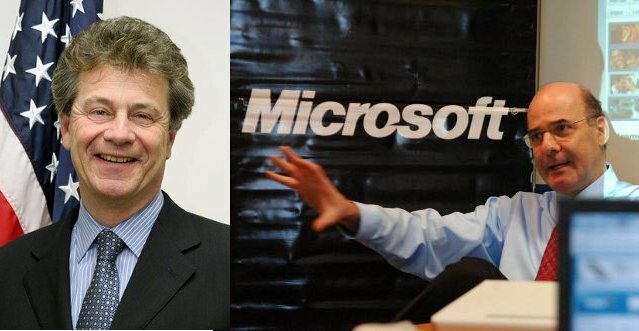 A cable recently published by Wikileaks reveal that Michel Levy, president of Microsoft Brazil, met in 2007 with then U.S. ambassador in that country, Clifford Sobel, concerned about the government's position in the debate over file formats to be used in the Brazilian state. Microsoft, which defends its product formats, Microsoft Office, was concerned about the government's insistence to use open standards, thus ensuring the government regardless of any commercial product. Levy said the Brazilian government conducting an "anti-ideological campaign" and "a strategy against intellectual property rights and receive royalties." He accused Dilma Russeff, then Chief of Staff of the Lula da Silva of Brazil and now president of being the "architect" of the campaign. The U.S. Embassy responded to Microsoft recommending to lobby with other Brazilian and U.S. companies, pushing for the decision of the formats is not taken by the Executive, but by the Brazilian Congress. Similarly, it was suggested to campaign for both the proprietary format OOXML, ODF and open format, to be accepted together. In 2007, a debate took place in the world when Microsoft tried to International Organization for Standardization (ISO) approved the new formats file using Microsoft Office 2007:. DOCX (Word),. XLSX (Excel) and. PPTX (PowerPoint), which they called OOXML. The debate occurred because, for many years, the popular formats that have used previous versions of Microsoft Office (the famous files. DOC,. XLS. PPT) were closed formats, no specifications available. The only products that could be safely used to open and edit those files, were those of Microsoft, which created a monopoly status. This brought a problem to governments and public entities that were generating tons of information that was stored using these files. On the one hand, that citizens and businesses forced to buy Microsoft products to interact with governments (for example, many ministries are asked: "Send your resume in Microsoft Word format," which forces the person to have that program to have a chance to get jobs), generating an undesirable situation of monopoly to a private agency. If someone wanted to develop a software able to read or edit those formats, I had an easy way to do it, because Microsoft did not give access to the specifications. On the other, there was no guarantee what might happen in 10, 20 or 50 years with documents that use Microsoft formats. If the company disappeared, how they could read the millions of files in Word, Excel or PowerPoint? Remember that many of the software products sold in the eighties, such as WordStar, WordPerfect, Harvard Graphics, Lotus 1-2-3 and the like, disappeared with time. As the years pass, it becomes harder to read files created in those closed formats. Alternatives open gradually appeared: the rise of the free OpenOffice software, there is the OpenDocument Format (ODF), which was later standardized by the organization OASIS and ISO. OpenDocument is used not only in OpenOffice, but KOffice, AbiWord, LibreOffice, Google Docs, smart phones, and even came in "plugins" to open it and save it from Microsoft Office. This was possible because OpenDocument is an open format, with specifications known, and any programmer can create software that will read and modify. As we enter the twenty-first century, many countries began to enact laws to use only open standards in their governments. Venezuela did in 2004 with Presidential Decree 3390. So did Brazil, Ecuador and Uruguay in South America, the states of the European Union, India, Japan, Malaysia, South Africa, various regions of Spain, and many more. Seeing this new trend that threatened its products, Microsoft created new formats (DOCX, XLSX and PPTX, which first appeared in Microsoft Office 2007), published the same specifications (which were incomplete), and tried to ISO Avalara format, despite numerous patents on it. 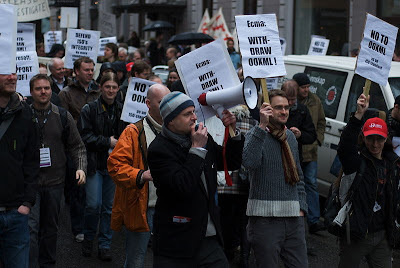 This led to protests by the Free Software movement worldwide. In Venezuela, there was much controversy because Microsoft, UCV and interest groups tried to make our country and the organizations they represent (Fondonorma) ISO vote in favor of Microsoft . In Brazil In a cable dated December 21, 2007 and published by Wikileaks states that the previous day in Sao Paulo, met the U.S. ambassador to Brazil, Clifford Sobel, the president of Microsoft Brazil, Michel Levy. Levy said that current government policies "are the enemies of Intellectual Property Rights. 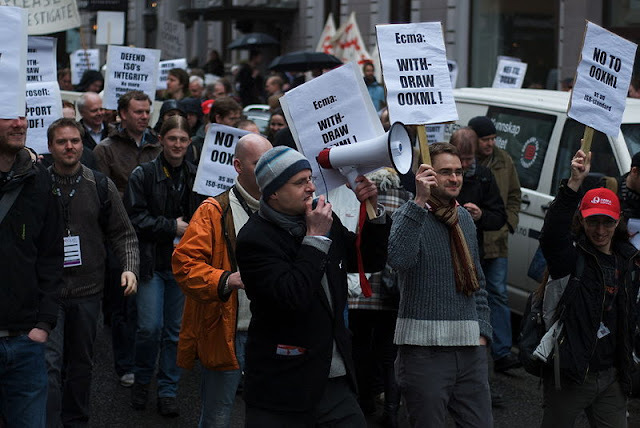 According to Levy, the government through the Foreign Ministry has mounted an international campaign to discredit the XML proprietary format from Microsoft, and is encouraging other nations to adopt ODF (OpenDocument) over the XML, for the meeting International Organization for Unification (ISO) quye be held in Geneva next March. " According to the cable, Levy Sobel requested a meeting with the December 20 "to discuss ways to work with what he described as an antagonistic government." "Levy believes that this issue has become ideological and is a manifestation of anti-Americanism by the Brazilian Foreign Ministry. He said the Chief of Staff of President Lula Da Silva, Dilma Rousseff, along with senior advisor Celso Alvarez, are the architects of a strategy from the government against intellectual property rights and against receiving royalties. " It is unknown whether Celso "Alvarez" was actually referring to Celso Amorim, Brazilian foreign minister and then defense minister. Levy said the ambassador that the OpenDocument Format (ODF) was lower than that simply "can not do the same work" that the counterpart of Microsoft, and that if the government decreed the ODF standard as the only Brazilian state, "it would have consequences economic for Brazil. " Vietnam, a country with a socialist government and a people that could beat the U.S. in the war of the sixties and seventies, has given the capitalist economic system driven by the West, and Microsoft has had its share of responsibility. Several cables Wikileaks showing the pressure from Microsoft and other corporations to pass laws guaranteeing intellectual property to these companies the ability to do business. One of these cables, dated April 2004, says: "The charge of economic affairs of the Embassy, ​​Microsoft suggested to work with other international software and hardware, including his competitors, to send a unified message to the government of Vietnam: that information technology companies in Vietnam are not taken seriously until better protection for intellectual property. Microsoft said that the BSA (Business Software Alliance), which includes a large number of software companies and hardware, will be an important vehicle for this approach. " Microsoft also said that Vietnam was intended to stop using illegal software, but the cost was an issue, what they were suggesting going to the World Bank and Asian Development Bank to seek financing for the purchase of licenses. Similarly, Microsoft asked the embassy to help them understand the government of Vietnam should not be migrating to Linux for the "wrong reasons". After that, Vietnam became a member of the World Trade Organization (WTO), and took steps to improve intellectual property laws. A new cable was sent by the U.S. embassy in Vietnam in February 2008, recommending that the country but remain in the list of countries under observation for allowing piracy of books, CDs and DVDs. Require punitive and punishing those involved in illegal copying, and point out that other companies such as Honda, Nokia, Gucci, Nike, Chanel, Louis Vuitton and Wilson also eleviado complaints for alleged violations of its intellectual property. However, as a positive point that the government of Vietnam has purchased 300 000 licenses of Microsoft products to solve the problems of software "pirate" in their offices. It also indicates that 20 000 government computers would be migrated to free software. You can see how the U.S. government and transnational corporations pushed a socialist government to change its laws, policies and even urge you to go to funding agencies created by the United States to finance purchases of U.S. companies. Ie bought and give back. More cases: Venezuela, Tunisia, Thailand and Indonesia cables released by Wikileaks only confirm what many suspected: the open interference of Microsoft and the U.S. embassy in the affairs of many countries. Last week it emerged that the then general manager of Microsoft Venezuela, Gonzalo Fernandez Tinoco, also met at the U.S. Embassy in Caracas and handed memos state oil company PDVSA that explained the risks of using proprietary software. He also met other cables that show how Microsoft Wikileaks offered to help the Tunisian government to create laws to abandon the idea of ​​developing free software in the country. In the agreements signed between Microsoft and Tunisia there is an agreement for the bulk purchase of Microsoft licenses, so that Tunisia abandon the use of free software in public institutions. According to declassified cables Wikileaks, Microsoft was also concerned by the Thai government policy of encouraging open source software as a way to end the so-called "piracy" software. In Indonesia, Microsoft also interacted with the U.S. embassy and the government of that country after the signing of a memorandum of understanding in 2006 to ensure that Microsoft will buy a license for some 500 000 computers using software such government "pirate".